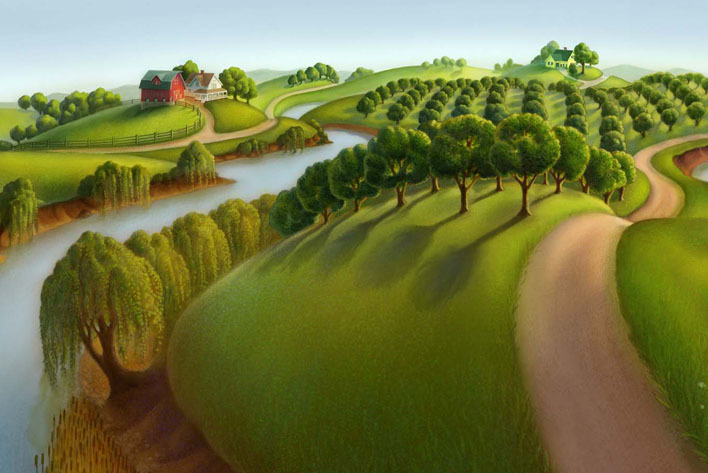 The inspiration for this painting came from Grant Wood & Robin Moline. 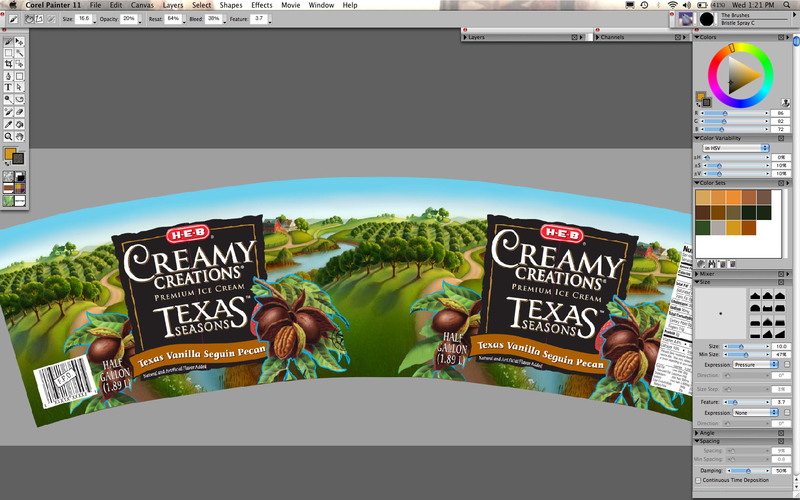 It was used for a pecan ice cream package background. 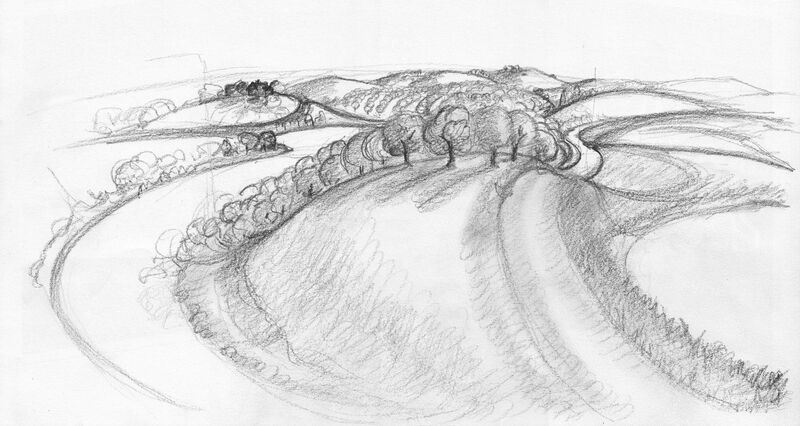 This is my rough pencil sketch. 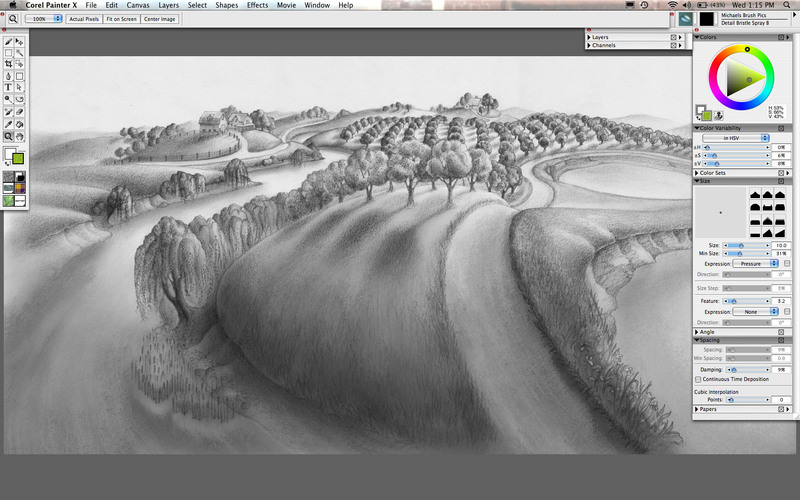 Final pencil drawing with added tone in Painter. 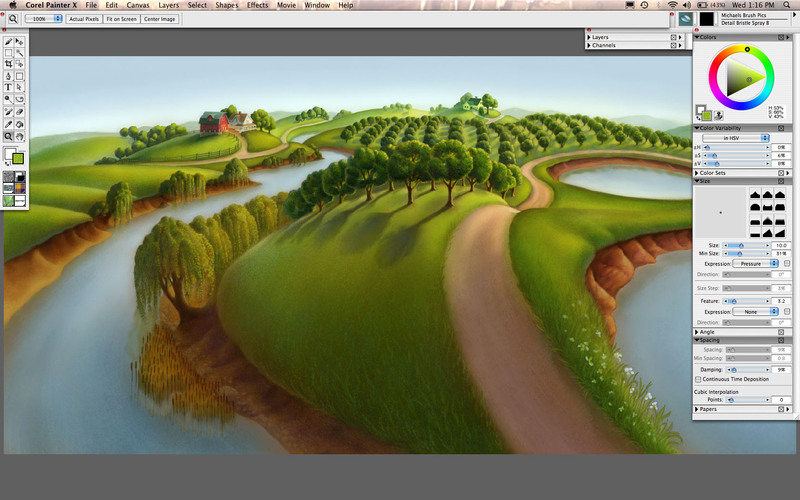 First pass of color in Painter. 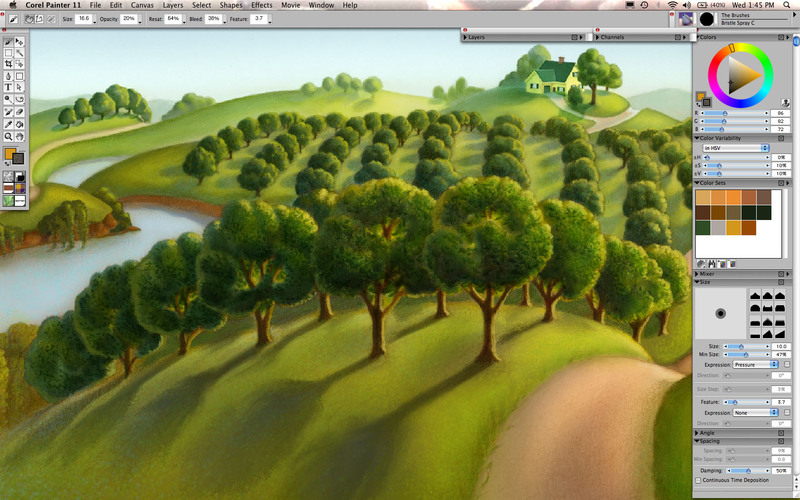 I like to build upon the tone in my pencil drawing as much as possible. 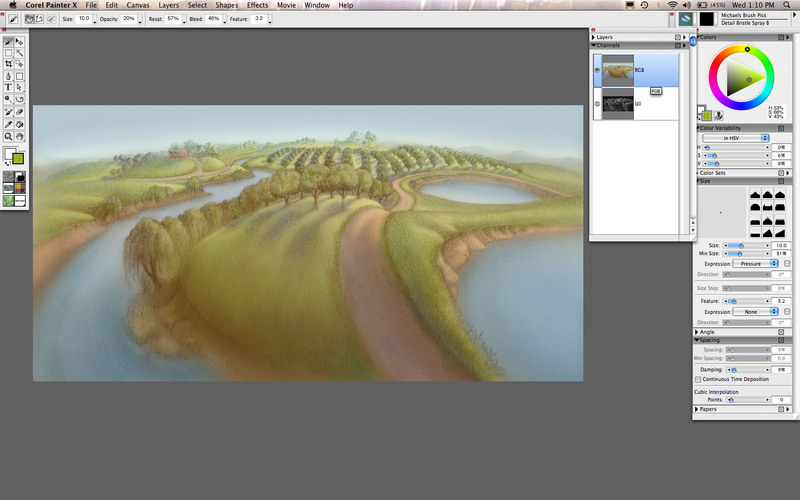 I assembled the final landscape with the graphics as placeholders. 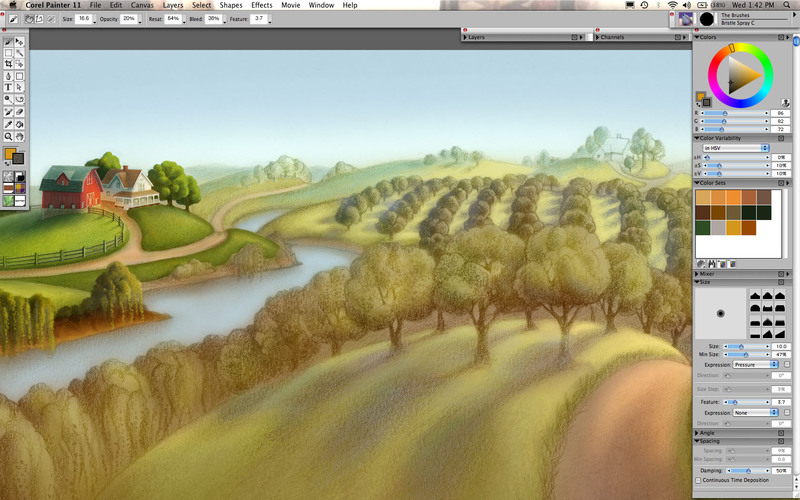 The foreground pecan spots were done by my friend John Youssi.